"It isn't the incompetent who destroy an organization. The incompetent never get in a position to destroy it. It is those who achieved something and want to rest upon their achievements who are forever clogging things up." "We all operate in two contrasting modes, which might be called open and closed. The open mode is more relaxed, more receptive, more exploratory, more democratic, more playful and more humorous. The closed mode is the tighter, more rigid, more hierarchical, more tunnel-visioned. Most people, unfortunately spend most of their time in the closed mode. Not that the closed mode cannot be helpful. If you are leaping a ravine, the moment of takeoff is a bad time for considering alternative strategies. When you charge the enemy machine-gun post, don't waste energy trying to see the funny side of it. Do it in the "closed" mode. But the moment the action is over, try to return to the "open" mode—to open your mind again to all the feedback from our action that enables us to tell whether the action has been successful, or whether further action is need to improve on what we have done. In other words, we must return to the open mode, because in that mode we are the most aware, most receptive, most creative, and therefore at our most intelligent." Without the playing with fantasy no creative work has ever yet come to birth. The debt we owe to the play of imagination is incalculable." "When Alexander the Great visited Diogenes and asked whether he could do anything for the famed teacher, Diogenes replied: “Only stand out of my light.” Perhaps some day we shall know how to heighten creativity. Until then, one of the best things we can do for creative men and women is to stand out of their light." "To be creative you have to contribute something different from what you've done before. Your results need not be original to the world; few results truly meet that criterion. In fact, most results are built on the work of others." "The things we fear most in organizations—fluctuations, disturbances, imbalances—re the primary sources of creativity." "Too much of our work amounts to the drudgery of arranging means toward ends, mechanically placing the right foot in front of the left and the left in front of the right, moving down narrow corridors toward narrow goals. Play widens the halls. Work will always be with us, and many works are worthy. But the worthiest works of all often reflect an artful creativity that looks more like play than work." "When the 'weaker' of the two brains (right and left) is stimulated and encouraged to work in cooperation with the stronger side, the end result is a great increase in overall ability and ... often five to ten times more effectiveness." The way to get good ideas is to get lots of ideas and throw the bad ones away." "You don't understand anything unless you understand there are at least 3 ways." "Companies have to nurture [creativity and motivation]—and have to do it by building a compassionate yet performance-driven corporate culture. In the knowledge economy the traditional soft people side of our business has become the new hard side." "That so few now dare to be eccentric marks the chief danger of our time." "An inventor is simply a person who doesn't take his education too seriously. You see, from the time a person is six years old until he graduates from college he has to take three or four examinations a year. If he flunks once, he is out. But an inventor is almost always failing. He tries and fails maybe a thousand times. It he succeeds once then he's in. These two things are diametrically opposite. We often say that the biggest job we have is to teach a newly hired employee how to fail intelligently. We have to train him to experiment over and over and to keep on trying and failing until he learns what will work." "All human development, no matter what form it takes, must be outside the rules; otherwise we would never have anything new." "He who would be a man must therefore be a non-conformist." "The law of floatation was not discovered by contemplating the sinking of things, but by contemplating the floating of things which floated naturally, and then intelligently asking why they did so." "If you do not the expect the unexpected you will not find it, for it is not to be reached by search or trail." "The organizations of the future will increasingly depend on the creativity of their members to survive. Great Groups offer a new model in which the leader is an equal among Titans. In a truly creative collaboration, work is pleasure, and the only rules and procedures are those that advance the common cause." "The business world sees a measurable and growing intelligence gap - with need for intellectual expertise constantly expanding. Available talent is decreasing even though the population is increasing. Being bombarded with information - be it in Nintendo or shogi - and being able to process it, find patterns etc., is a vital skill. One way to increase this talent potential is through games." "Some men look at things the way they are and ask why? I dream of things that are not and ask why not?" "In every work of genius, we recognize our once rejected thoughts." "The human body has two ends on it: one to create with and one to sit on. Sometimes people get their ends reversed. When this happens they need a kick in the seat of the pants." 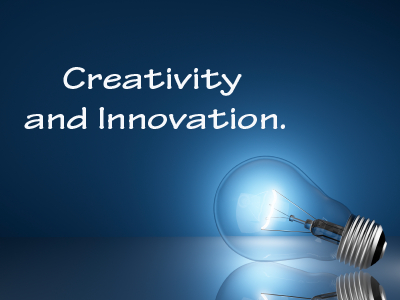 "Innovation is the process of turning ideas into manufacturable and marketable form." "I roamed the countryside searching for the answers to things I did not understand. Why shells existed on the tops of mountains along with the imprints of coral and plant and seaweed usually found in the sea. Why the thunder lasts a longer time than that which causes it and why immediately on its creation the lightening becomes visible to the eye while thunder requires time to travel. How the various circles of water form around the spot which has been struck by a stone and why a bird sustains itself in the air. These questions and other strange phenomena engaged my thought throughout my life." "Slaying sacred cows makes great steaks." "In the modern world of business it is useless to be a creative original thinker unless you can also sell what you create. Management cannot be expected to recognize a good idea unless it is presented to them by a good salesman." "Innovation is fostered by information gathered from new connections; from insights gained by journeys into other disciplines or places; from active, collegial networks and fluid, open boundaries. 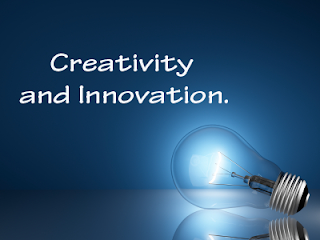 Innovation arises from ongoing circles of exchange, where information is not just accumulated or stored, but created. Knowledge is generated anew from connections that weren't there before." "When you are completely absorbed or caught up in something, you become oblivious to things around you, or to the passage of time. It is this absorption in what you are doing that frees your unconscious and releases your creative imagination." "A person might be able to play without being creative, but he sure can't be creative without playing." "The achievement of excellence can occur only if the organization promotes a culture of creative dissatisfaction." 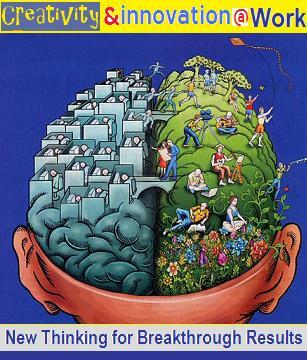 "Replace either/or thinking with plus thinking." "[I]in 1913, the first assembly line was implemented at Ford Motor Company. The process grew like a vine and eventually spread to all phases of the manufacture of Ford cars, and then through the entire world of heavy industry. There can be no doubt that a powerful revolution occurred at Highland Park—but it was not the assembly line itself that provided the power. Rather, it was the creation of an atmosphere in which improvement was the real product: a better, cheaper, Model T followed naturally. Every man on the payroll was invited to contribute ideas, and the good ones were implemented without delay." "Observe what is with undivided awareness." "History can’t give attention to what’s been lost, hidden, or deliberately buried; it is mostly a telling of success, not the partial failures that enabled success." "The world is but a canvas to our imaginations."